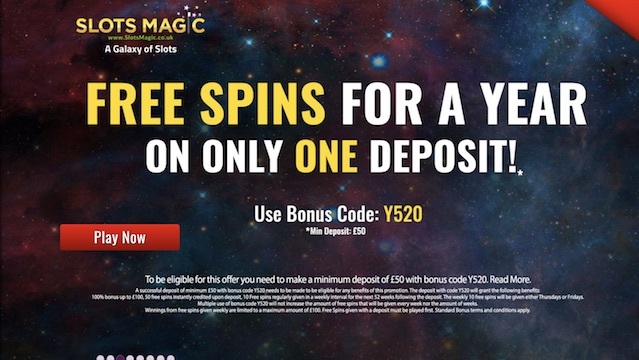 Free Spins for a Year With Slots Magic – No Wagering Requirements EVER! Ok, we’ve heard it all now. In the battle of the sign up offers, surely Slots Magic have set a new bar, and a very high one at that. You heard it here first. 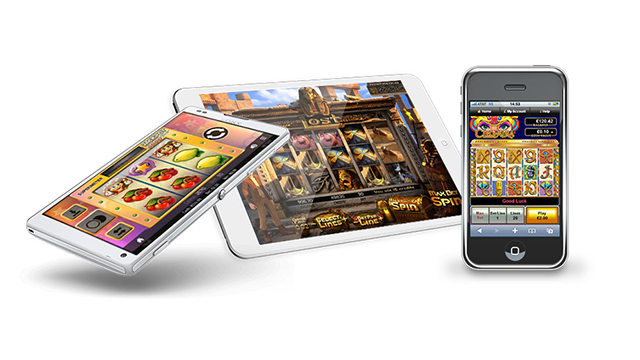 Join the Slots Magic Casino and get Free Spins for a Year with no wagering requirements on your wins! 2. Register a new account. 3. Make a deposit of £50 or more with bonus code Y520. And that’s it! Immediately your deposit of £50 or more is approved you’ll receive a 100% match bonus of up to £100 and a whopping 50 Free Spins. Then, for the next 52 weeks you’ll be credited a further 10 Free Spins every week (on a Thursday or a Friday). That’s 520 Free Spins on top of the 50 you get when you deposit. And it gets better, because any winnings you receive when you play your free spins will be credited as withdrawable cash, up to a maximum £100 each week. 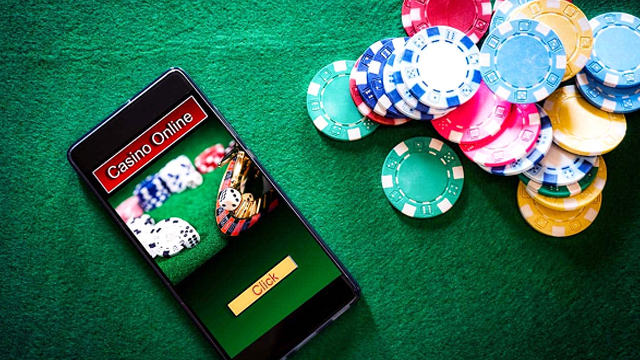 Slots Magic is a one of the best mobile casinos in the UK, with a massive range of new video slot games on offer, including titles from the likes of NetEnt, Microgaming, WMS, NextGen and Amaya. The site looks great on all devices and there is a downloadable app for iOS and Android. To make that first deposit a wide variety of payment options are available to you, from debit and credit cards to Neteller, Skrill, Paysafecard and Paypal. So there are no excuses – get in there now, make that £50 deposit and you’ll be enjoying your Free Spins for the next 12 months. And by the way, did we mention, no wagering requirements?!! 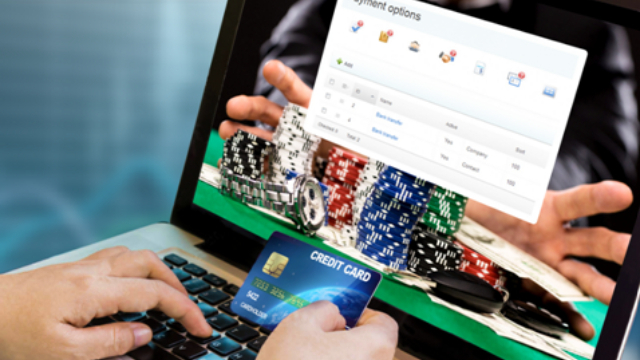 Slots Magic Casino is licensed and regulated by the UK Gambling Commission and the Malta Gaming Authority.